Two Honors students have come up with an answer to the age old question: What to do with all of that excess prepared food from campus events? Juniors Nicholas Ang and Camilla Cascardo have the answer – call the Detroit Feedback Loop. 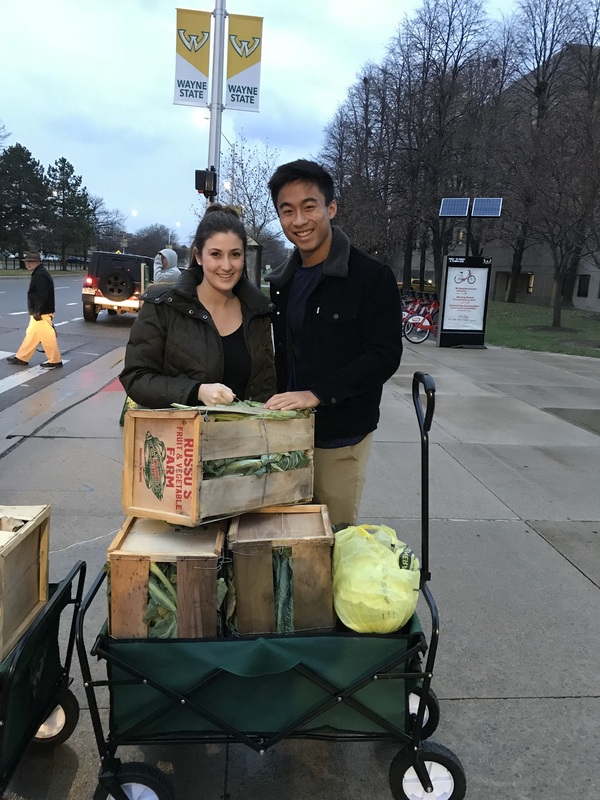 Ang, a Psychology major, and Cascardo, a Psychology and Biological Sciences double-major, teamed up to form the Detroit Feedback Loop (DFL) – a student organization with the goal of gathering excess prepared food from different restaurants on campus and in the surrounding community and delivering it to local homeless shelters and soup kitchens. DFL works by using a series of volunteers to help deliver food. A distributor will contact DFL to let them know about the excess food, DFL then contacts one of its volunteers to pick up the food and transport it to local homeless shelters, such as the Detroit Rescue Mission or Coalition on Temporary Shelter (COTS), and soup kitchens. A log is then created of what was donated, where the food was taken, and how much it weighed. After a successful winter semester, Ang and Cascardo worked over the summer to turn DFL into a registered student organization with DOSO and have begun increasing their organization’s reach on campus. 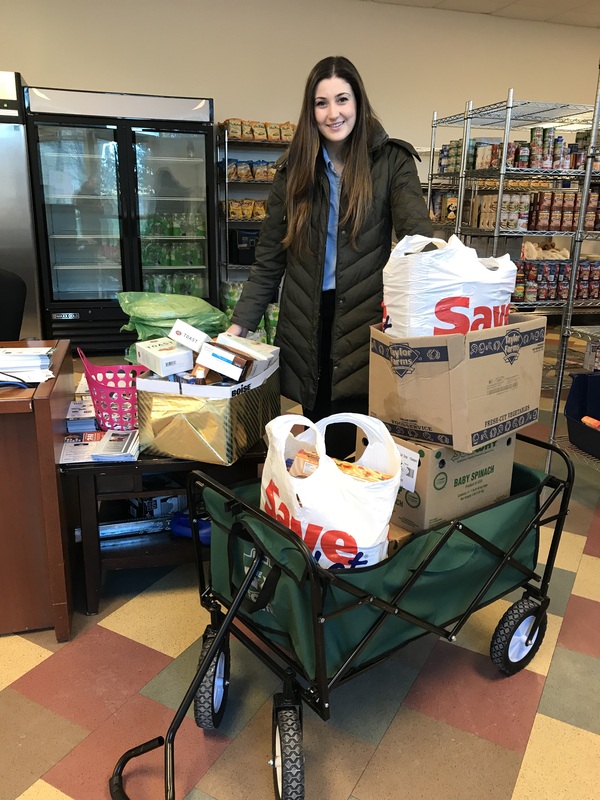 As of the beginning of this semester, the DFL has already collected and distributed over 2,600 pounds of food. Currently, DFL has partnerships with the Alumni Association and the Irvin D. Reid Honors College, the WSU Food Pantry, and McShane’s Pub in Corktown. Last semester, they worked with Tower’s Café and is currently in negotiations with Aramark help pick up their food after their catering events. Junior Chemical Engineering major Nazir Jairazbhoy said that in the coming months the group is hoping to expand beyond the areas of Wayne State and Midtown. “This is Detroit Feedback Loop. This is about Detroit, about Midtown and expanding to all the restaurants in the area. We are really looking at places in Midtown, down Second Street, down Third, down Cass…and towards downtown Detroit” Jairazbhoy said. If interested in becoming a volunteer, one needs to email his or her name, phone number and available hours to detroitfeedbackloopwsu@gmail.com.